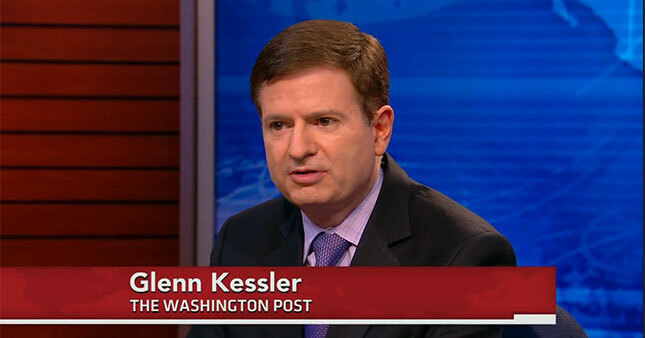 Today, Glenn Kessler, “Fact Checker” for the Washington Post wrote an article entitled, “Donald Trump’s revisionist history of mocking a disabled reporter.” So right from the beginning you can see he intended to be completely fair and balanced. No, instead he repeated the same old party line on this story, gave Trump “4 Pinocchios” and moved on. Fortunately for you, we are here to hold him and the rest of the media accountable every step of the way. Hmmm… isn’t that curious! I wonder why Kovaleski conducted NO ON-CAMERA interviews after Trump did his impersonation when the story was all over the television non-stop? Shouldn’t the media have been chomping at the bit to get Kovaleski in front of their cameras to embarrass Trump and prove to the world Trump was clearly mocking his disability? If the media had a legitimate story, that is exactly what they would have done and we all know it. But the media couldn’t put Kovaleski in front of a camera or they’d have no story. Kovaleski was disabled but his disability was nothing like Trump impersonated. BUT, if they showed video of Trump labeled “Trump Mocks Disabled Reporter,” then put up a still shot of Kovaleski, they knew you, the viewer, would assume Kovaleski’s disability must make his arms move without control. Then you’d naturally assume Trump is despicable and not vote for him. Thus, to this day, the media ONLY shows still shots of Kovaleski when constantly smearing Trump with this story. This, even though video of Kovaleski is only a few clicks away on Google. Here, below, is a video of Trump speaking about Kovaleski on Nov. 24. …he goes on to mock him, jerking his arms in front of his body..
Trump now suggests he was just imitating a grovel, but that’s not what he was actually doing. Instead, Trump is clearly imitating Kovaleski’s disability — the reporter has arthrogryposis, which visibly limits the functioning of his joints. Actually, he clearly did, protestations notwithstanding…. 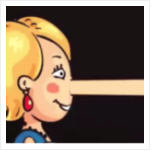 In the end, we give WaPo’s “Fact Checker” Four Hillarys for this pathetic biased attempt at objective fact checking which is nothing more than the same old decent and hiding of the ball that the media used to sell this hit job in the first place. Lucky for us, they aren’t going to get away with it this time. Great Point. It’s worth noting that, if the media has someone they think can do MAXIMUM damage to Trump, they give that person MAXIMUM media exposure. Exhibit A – Gold Star Dad Khizr Khan. One the media determined he could hurt Trump, Mr. Khan was on every legacy news show you can think of – from Meet the Press to ABC’s This Week. His booker has got to be the busiest man in DC. Yet, when Serge Kovaleski, who lives and works in NYC, the media capital of the world, was thought to be capable of inflicting the same amount of damage, he was NOWHERE TO BE FOUND. People can whine, cry and shry as much as they want about every manner of besides the point issues. The facts are crystal clear. We caught the entire mainstream media engaging in a nakedly transparent act of full blown propaganda with the intent of influencing the Presidential Election. since when is a Muslim terrorist a ‘gold star dad?’ just because his son served and died in Iraq doesn’t give him the right to lecture anyone, especially someone who supports the biggest LIAR of them all, Hillary Clinton. Yes we prey to god we get the Donald!